Pavilion Road is London’s longest mews, which underwent a vast redevelopment in 2016 to create a ‘village vibe’ in Chelsea, welcoming independent traders including a cheesemonger, baker and wine merchant. It is now one of the most Instagrammable streets in the capital, recapturing the character and individuality that first put the neighbourhood on the map. 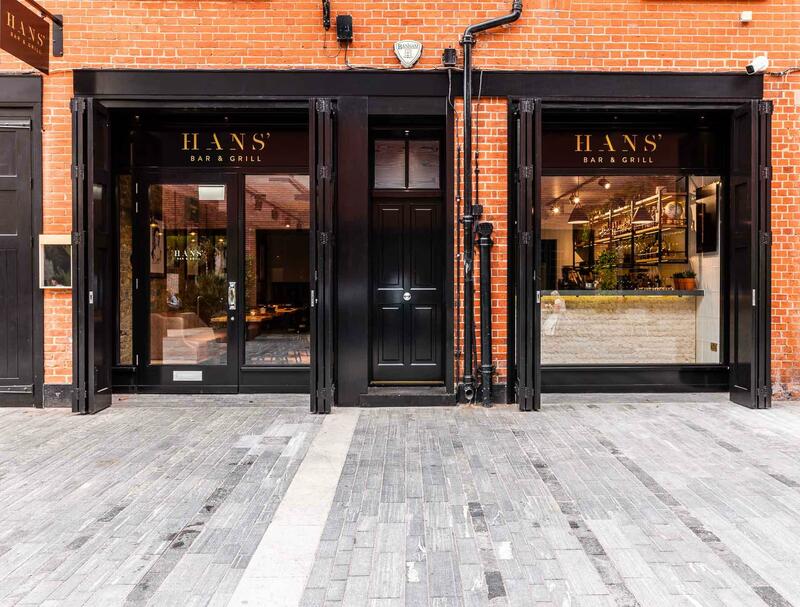 The latest addition to this charming enclave is Hans Bar & Grill, set in the five-star 11 Cadogan Gardens hotel. 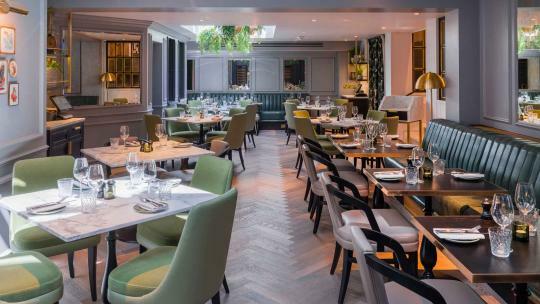 Iconic Luxury Hotels, the prestigious group behind Cliveden House, Chewton Glen and the Lygon Arms, took over the property in 2017 and executed a complete refurbishment of the restaurant. 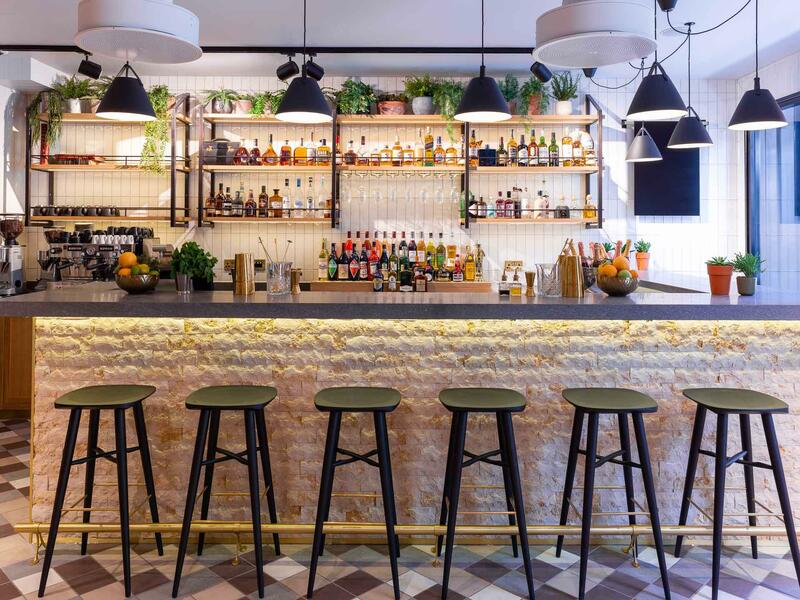 It is now double its original size, with a relaxed café-bar space; a light-filled, covered courtyard and main dining room, which sits 106 in total. Interiors are the work of Goddard Littlefair, also responsible for the Gleaneagles Hotel in Scotland. 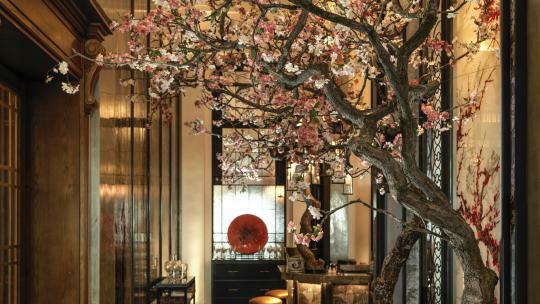 It is Goddard's first restaurant project in London and he has set the bar high, creating a space that artfully strikes the balance of elegance and ambiance. 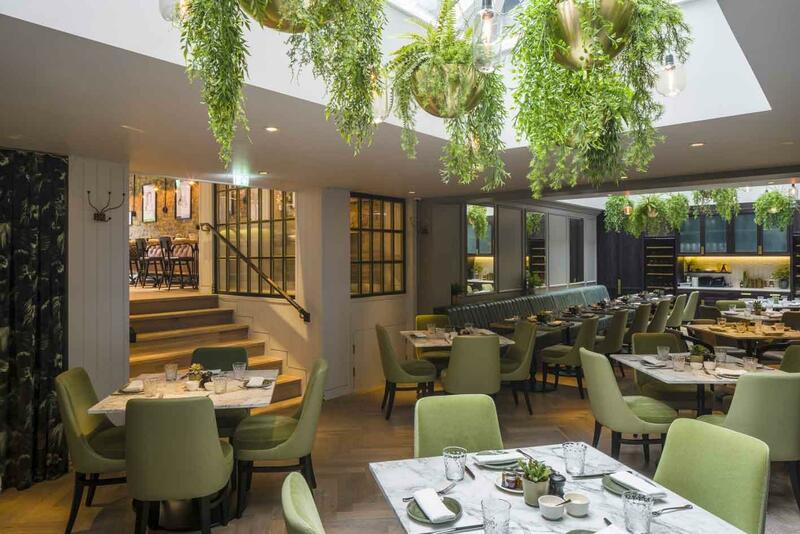 Sleek marble table tops are matched with dark green banquettes and comfortable velvet chairs in zesty citrus hues, while cascading plants hang from the skylit ceiling in polished brass bowls. 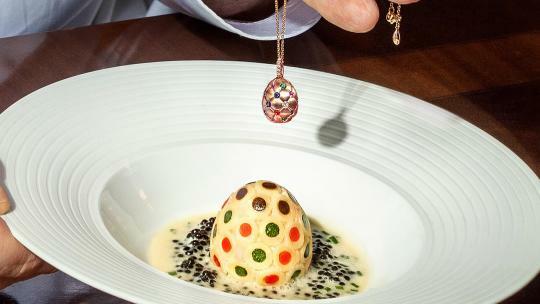 The restaurant is so-called after the original Sloaney, Sir Hans Sloane, the polymathic physician and prolific collector who lends his name to much of Chelsea. His legacy flickers in the hotel's artwork, while the private dining room, The Curio, was inspired by his love of adventure and discovery. 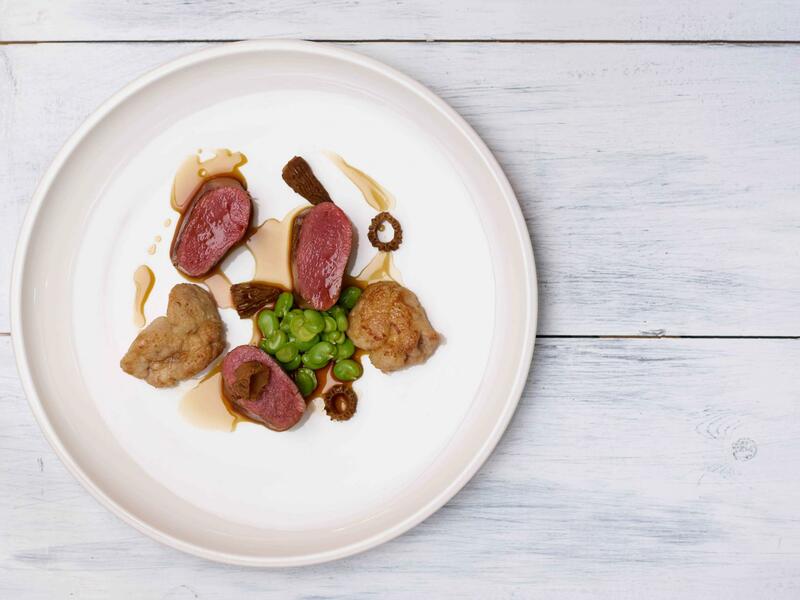 With chef Adam England helming the kitchen, the concise but perfectly formed menu cooks British produce with care: cauliflower cheese and mustard croquettes are decadent little bullets of joy with a truffle sauce, while West Country lamb loin is served on a green bed of peas, broad beans and girolle mushrooms, with a generous side of sweetbreads. As the name suggests, the grill is the star of the kitchen, serving up veal cutlets, smoky sirloin steaks, Dover Sole and chunky chickpea burgers. The weighty drinks list offers more than 200 wines from around the world, which would be daunting were it not for the affable and well-versed staff, alongside cocktails crafted with British spirits. 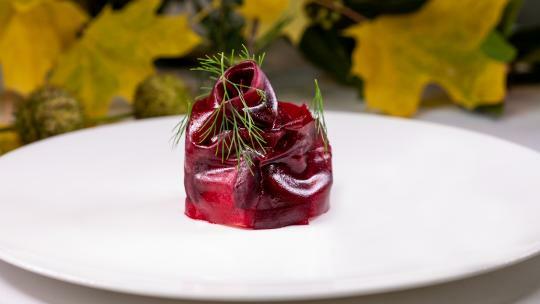 Unusually for a hotel restaurant, Hans Bar & Grill has a relaxed, neighbourhood vibe. The diverse crowd ranges from businessmen and Chelsea’s lunching ladies to young types popping in for a bite following a workout at the KXU gym across the road, in addition to international hotel guests. Whether heading here for breakfast or a late-night liaison, it is a stylish set-up for London's modern explorers – Sir Hans would have certainly approved.